River Cleaner works inside your Seller Central account, however, no information is ever transmitted or stored on our or third-party servers. 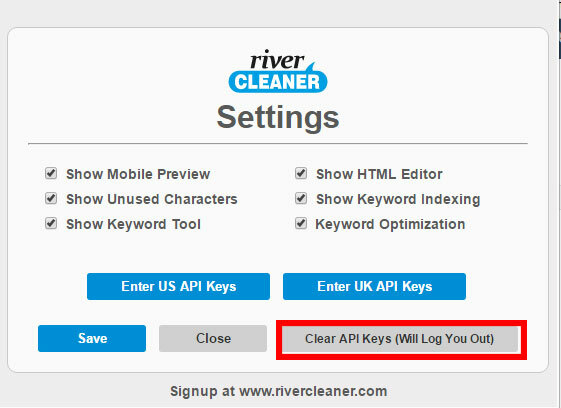 API Keys and sourcing prices are stored locally on your computer and you can delete them any time by using the "Clear API Keys" button from River Cleaner's Settings. Send us an email. We respond very fast.